Arvin Banan RGN, INP (Independent Nurse Prescriber), BSc ,is the principal and founder of Revitalise Skin Care Clinic. A Registered General Nurse with overall experience in emergency, surgical, cosmetic, pain , Operating theatres and dermatology over 17 years. Arvin has also been working with one of the UK’s leading companies in aesthetic, cosmetic beauty treatments and surgeries as well as working part time as a sister in the operating theatres. Arvin is a member of the Royal College of Nursing (RCN), British Association of Cosmetic Nurses (BACN) and Association of Nurse Prescribing (INP). Arvin has performed a wide range of non-surgical procedures such as non surgical face lift with PDO threads , muscle relaxing injections (Botox ) at advance level for upper and lower face , dermal fillers at advance level including tear Through (correction of hollow under eyes with dermal fillers ), Micro Needling system or FNS pen and skin care achieving great result for patients. Arvin is dedicated to continuing professional development and maintaining medical ethics by attending conferences and courses in aesthetic medicine and evidence-based approach to practice. Arvin has received most of her aesthetic qualifications at Harley street where they use the latest techniques in injections .Her experience of pain and anaesthetic field has helped her to treat her clients better as she would like to inject fillers,botox and PDO Threads as comfortable as possible using new techniques and using local anaesthetic. She continually updates her skills by attending the very latest training courses and conferences .Every advanced course she attend teaches the newest ,latest techniques that enable her to provide the best possible ,effective,realistic and achievable results for each individual. At Revitalise Skin Care Clinic we aim to provide non-surgical enhanced aesthetic solutions for people wishing to improve their appearance and confidence. Our philosophy is to achieve the best results for our clients through high quality services and acting in their best interests. Non-surgical cosmetic treatments have become one of the most frequently performed procedures in aesthetic medicine. At Revitalise Skin Care Clinic we appreciate that it can be difficult to find the right treatment, the right practitioner and most importantly ensuring that the treatment is safe and effective. This is why support and dedicated, lawful practice of medical practitioners is important. All consultations and procedures are performed by Arvin with years of experience in aesthetic industry and health care. It is our job to ensure the best care is offered to our patients during their ‘journey’ with Revitalise Skin Care Clinic. 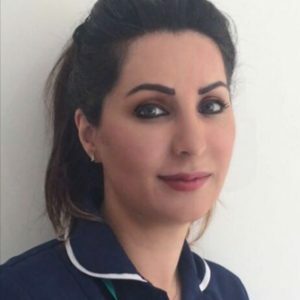 Her professional status as an Independent Nurse Prescriber and possessing a comprehensive knowledge of anatomy and surgery has given Arvin the opportunity to provide her patients with advanced medical services, including face to face consultation and choosing the most suitable and safe treatment options. Part of the service that Arvin provides includes a skincare consultation, in which you will receive in depth advice and recommendations to suit your personal skin needs.Patients’ safety, privacy and comfort are all important aspects of daily practice for Arvin. Arvin provides an amazing professional service, highly recommend her clinic and services. First treatment today lovely lady felt really comfortable and feeling positive for the results i want, she’s really honest and makes you feel 100% happy with going forward highly recommend. Wouldn’t let anyone else touch my face other than this lady. 100% professional & lovely clinic . As soon as you enter the clinic you are made to feel extremely welcome and special . I have visited the clinic 3 or 4 times and due to the vast knowledge and caring customer service and clients individual needs provided by Arvin and Clare I will continue to use their professional services and treatments. Arvin is absolutely amazing, I’m so happy with my lips. Arvin took time to understand what I wanted and explained everything in detail. I could not be happier with the end result! Thanks again for the professional but friendly service. I have had many treatments done by Arvin over the past few years. Most recently at the ‘Revitalise Skin Care Clinic’ The clinic itself feels clean, comfortable and welcoming. Arvin has always been so helpful in talking me through various treatments and procedures and answering any questions genuinely and professionally. I had a really good experience. I am very happy with my results. Totally recommended. Arvin is so professional and knowledgeable in the procedures she provides. So patient and caring with her clients, which puts you at ease as soon as you enter the room. Every time I go back Arvin is enthused and excited with new techniques she has learned on courses to continue her professional development to provide a high standard of up to date procedures. Warm friendly welcome, cuppa & full free consultation. 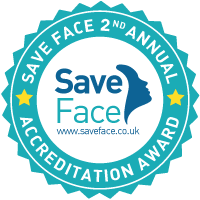 Attention to detail from Arvin was second to none (she explains in full detail) all the treatments and how I can benefit from them and what results to expect……I am writing this review as I have been so pleased and feel fabulous ….from face peel to feeling like a new woman. Thank you Arvin I would recommend you to anyone. Her qualifications as a registered nurse & experience from history of working for the company Transform shine through but her honest approach is truly amazing! A must visit! Arvin explains your treatment at all stages. She takes great care of you. After your treatment she makes sure you are happy with all she has done. Arvin will take pictures before and after treatment and show you these which is good as you can see for yourself the difference your treatment has made. She also like to see you a week or so after to make sure all is ok and that you are happy with what you have had done. I would highly recommend Arvin for any treatment you may be considering. You won’t be disappointed. Arvin is a highly skilled professional in aesthetic treatments, her extensive knowledge alongside her natural care and warmth leaves you feeling at complete ease. Knowing that you are in safe hands is of the highest importance to me. I have had a couple of treatments ranging from dermal fillers to facial peels at Revitalise Skin Care Clinic and always been thrilled with the results. Arvin is a highly skilled professional in aesthetic treatments, her extensive knowledge alongside her natural care and warmth leaves at complete ease. Knowing that you are in safe hands is of the highest importance to me. I have had a couple of treatments ranging from dermal fillers to facial peels at Revitalise Skin Care Clinic and always been thrilled with the results. I am delighted to leave this review – as I feel good practice and excellent results should be praised. I am so pleased with my treatments and feel so much brighter, not only in appearance but in myself too!! I am getting quite a few compliments on how well I look and it is definitely as a result of my recent Botox at Revitalise. Arvin is very thorough and I feel totally confident that I’m in the best hands!! Thank you so much and I look forward to exploring other treatments and procedures with you. Can't find what you are looking for? Get in touch today.